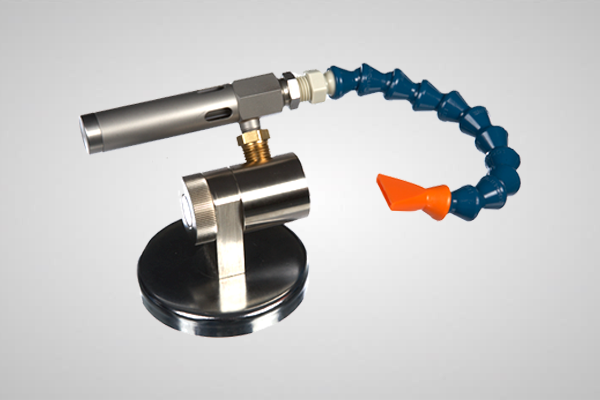 The Mini Spot Cooler is a low cost and maintenance free system which utilizes a vortex tube to produce cold air at one end. It is quiet and compact. 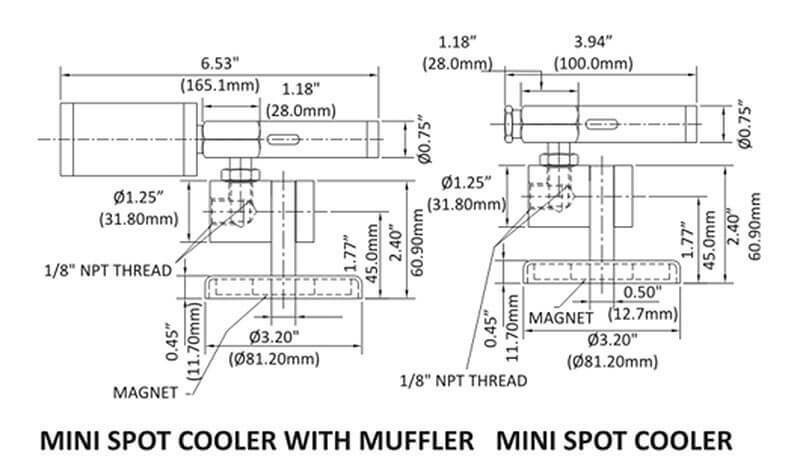 Designed for small parts, the Frigid-X™ Mini Spot Cooler produces a stream of 15 to 20 degree F (minus 9.5 to 7 degree C) of cold air to prevent heat buildup depending in inlet air temperature. It can improve tolerances in machining of small critical parts and increase production rates. Cold air is directed using the flexible tubing. A magnetic base is standard for portability and easy mounting of the mini spot cooler.